In February of 1964, Captain Davies, stationed at Fort Lewis with the Sixth Army, and his wife happily accepted the keys to the new Avanti sport sedan that he won in a contest sponsored by Sears, Roebuck and Co. from an unidentified car dealer. 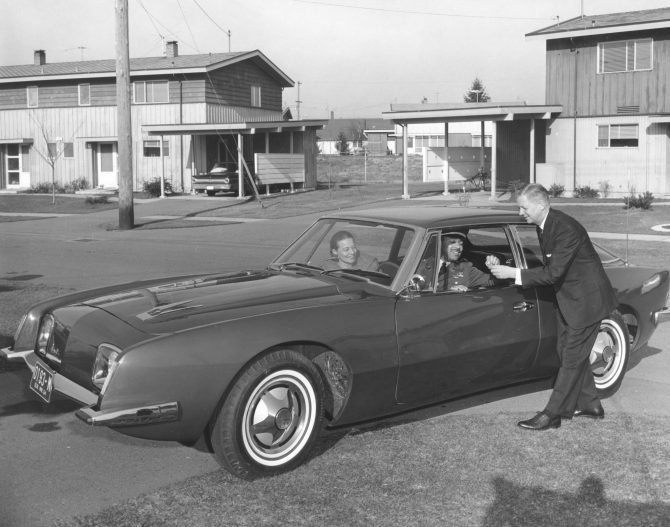 Introduced by Studebaker in 1962, the Avanti was designed by one of the most famous industrial designers of the day, Raymond Loewy. Contoured leather bucket seats, big round dials mounted in a hooded instrument panel, front disc brakes, and a fiberglass body helped to make the Avanti both distinctive and ahead of its time.